Waiting in line is an important issue in the context of services owing to its immense impact on operation capabilities and satisfaction of customers of organizations. The mode of ordering queues and how long customers should wait for a service or product has laid the base for determining the most optimal queuing solution that can give a tradeoff towards minimizing operation cost incurred while optimizing queues, and also minimizing the time taken by customers waiting to be served. As the current economies gradually transition from platform dependent to service oriented, it has become trivial to thoroughly grasp how to effectively manage waiting lines and in turn improve on the customer satisfaction in an organization. This project has examined the shortfalls of traditional and current approached to queue management, studied the types and applications of various queue management systems, and finally formulated a general approach and methodology to design and develop the virtual queue management system. Keywords: — Ration card, Ration, Virtual queue. Distribution of Ration card and ration items to public is the duty of government, which need to be done in proper way mainly for below poverty level (BPL) people it is must essential to properly distribute ration cards and after that issue ration items . Ration card is also used for recognizing the people of the city or state like a voter card it is also very essential for those who are not had voter card they at least had ration card for their identification. Basically ration card is distributed by the food authorization office which is related to area wise. The objective of the project is to design a both website and android app which would provide the following facilities. 1. Get the notifications details of food office using android app. 2. Send the request to get the new ration card and get the date details regarding when to go for taking photos by virtually generating token number. 3. Get the status of ration card details as and when required by the web site or by using android app. 4. By using this app, people can register to get ration items in each month. 5. 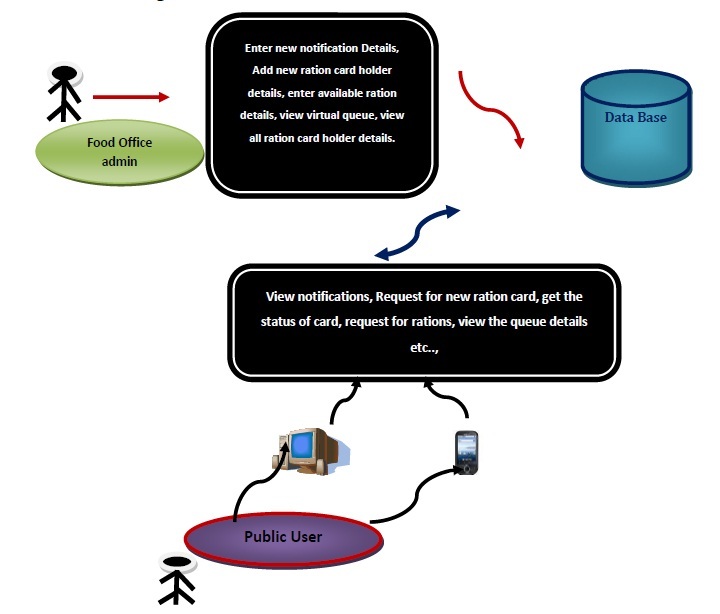 This system generates the virtual queue for the ration item distribution according to the requests. 6. Transition of manual to automated system. 7. By using this system we can save the public time by reducing waiting time for ration card and ration item distributions. During Requirement Collection and Analysis Phase of the Project/Software Development until we finalize the requirements we cannot start the actual development of the project. This is done by the model Prototyping Process Module. i. After requirements are finalized, then we can choose incremental way of software model to develop the Project /Software since we are not able to build all modules of software at once. Therefore, we choose incremental process module for software development. i. 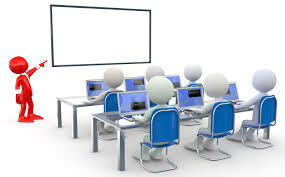 This Process Is Implemented in All Individual Module, The Design and Develop is started initially and it go on repeat until Module Design and Develop Completed of one module. After that only we are choosing next Module for Design and Develop. Text messaging, or texting, refers to the exchange of brief written messages between fixed-line phone or mobile phone and fixed or portable devices over a network. An android application and web application should developed for receiving the ration card and ration from organized societies. 1. By using this android app customer can create a queuing system for ration in the ration centre, instead of making manual queue in the ration centre. 2. Customer can register queue for particular month ration and this create automatic queue in first in first out process in the app. 3. It automatically creates a distribution queue, means per day how much ration centre can issue ration depends on how much possible customers can get the service is identified by app itself and also it gives alert SMS regarding the day on which customer should come for ration to ration centre. 4. Customers can also get the details about availability of rations in the ration centre. 5. Customer also get number of people already in queue and when they need to go to bring ration to ration centre. 6. By using this app we also inform about the next ration issuing dates through SMS. 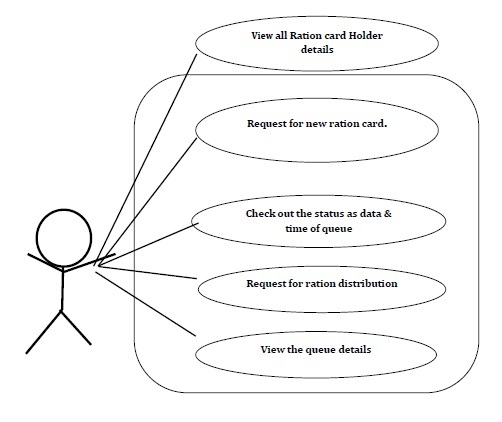 Virtual queuing system for ration distributions using android app is application software to overcome the uncertainties which had occurred ration center i.e. in FPS. The drawbacks i.e. manual process, time consumption, stock corruption etc. will be overcome by the app. Perhaps, in future we will try our best to develop an option of money payment for ration instead of paying at FPS to control corruption and loss to the government. 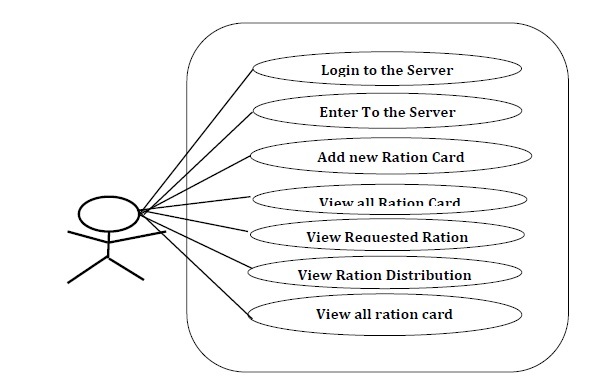 Virtual queuing system for ration card and ration distributions using android app is application software developed to overcome the uncertainties in ration centers. Through this program we are aiming at designing user friendly, multipurpose, efficient and attractive application software. Finally, we hope and trust that the work done by us for “Virtual queuing system for ration card and ration distributions using android app ” is best and also this project is easy and safe to use. "The importance of management information systems | Library Review | Vol 46, No 5", Emeraldinsight.com, 2017. [Online]. Available: http://www.emeraldinsight.com/doi/pdf/10.1108/00242539710178452. [Accessed: 14- Oct- 2017]. "Explore Your Queuing System Options", LineLogic, 2017. [Online]. Available: http://blog.linelogic.com/blog/2011/11/17/explore-your-options/. [Accessed: 14- Oct- 2017].